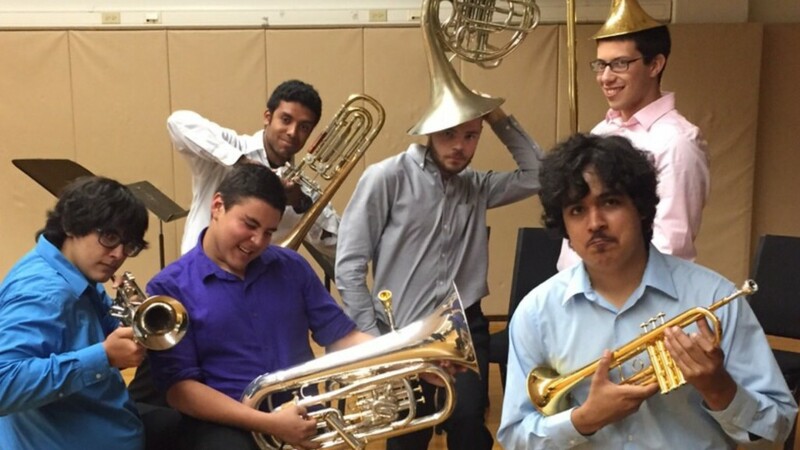 The Miami Dade College Brass Quintet has accepted an invitation to perform at the 12th annual International Euphonium and Tuba Conference Festival. The student group plans to premiere a brass transcription and arrangement of Bach’s Fugue in C minor by world renown electric bassist and MDC professor, Rafael Valencia. This years version of the quintet features the euphonium in place of the typical use of tuba/bass trombone. The festival features recitals by internationally recognized low brass soloists and numerous opportunities for further interaction with the faculty through lessons, masterclasses, warm-up gatherings and chamber music coaching sessions. The IET festival takes place on the campus of Emory University at the end of the month.